Summarize：On September 14, Golden Dragon Safety Classes, which were jointly organized by Golden Dragon, Jimei Traffic Police and Sina Xiamen, entered Anren Primary School in Jimei District, Xiamen. On September 14, Golden Dragon Safety Classes, which were jointly organized by Golden Dragon, Jimei Traffic Police and Sina Xiamen, entered Anren Primary School in Jimei District, Xiamen. 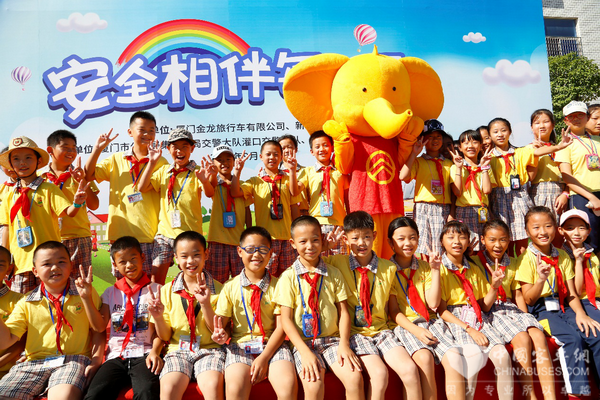 In the bus safety class, both traffic police and Golden Dragon’s bus safety ambassador “Little Golden Elephant” attracted students’ keen interest. Through many cartoon traffic pictures, students came to understand the meaning of many traffic signs. During the Q&A sessions, students were eager to answer questions raised by traffic police. 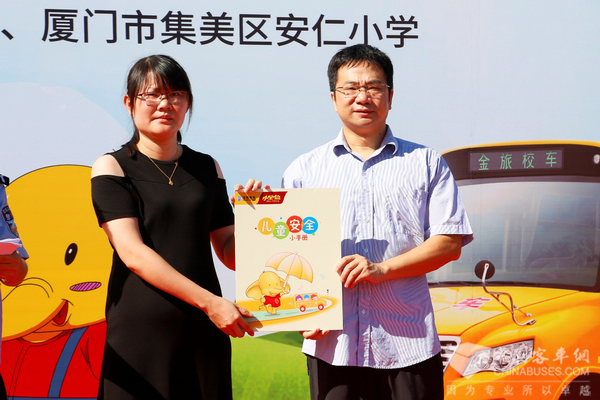 After the bus safety class, Wang Lizhi, Chairman of Golden Dragon’s Labor Union, presented 1,000 Children Safety Booklets to Anren Primary School, hoping all students can become more aware of self-protection and improve their abilities in dealing with emergencies.